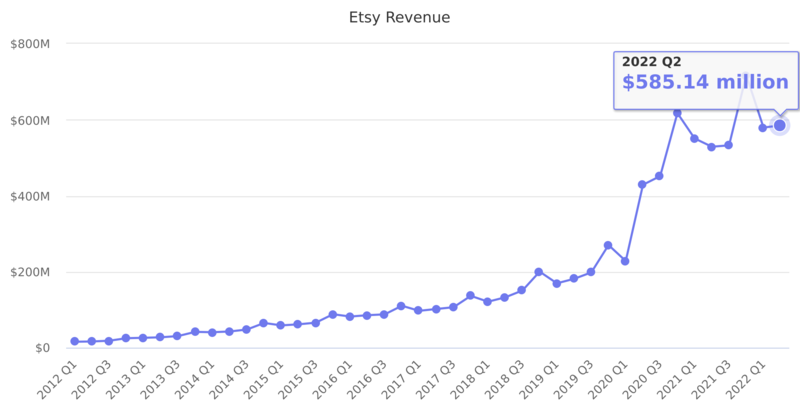 Etsy revenue consisting of marketplace revenue and seller services revenue. There is also 'other' revenue, mostly from third-party payment processors, but it only contributes ~1%. Last reported quarter 2018 Q3 it was $150.37 million, up by 41% year-over-year from $106.38 million. From $364.97 million in 2016 it increased by 21% to $441.23 million in 2017.